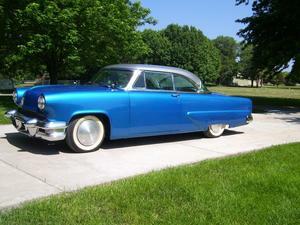 Description 1955 Lincoln Capri two door hard top. Lincoln high output 5.0 carburetor engine with AOD Transmission. Mustang Front end. Power Steering,, Brakes, Windows with Vintage Air.This car is a Great highway cruiser.